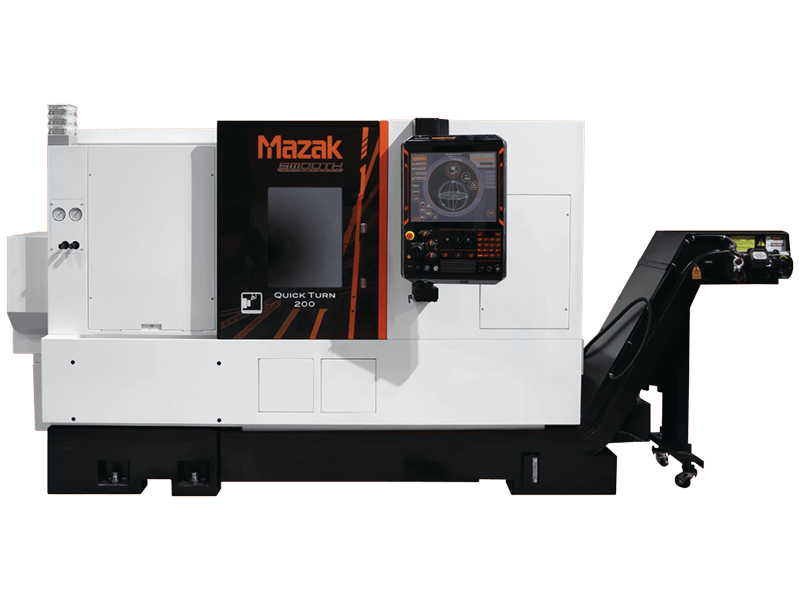 The QUICK TURN 200 CNC Turning Center brings together advanced technology, productivity and value to deliver exceptional performance for shops large and small. With a standard through-hole chuck package, this 2-axis machine efficiently processes a wide range of part sizes. Plus, the machine comes with the SmoothG CNC control system. SmoothG provides both MAZATROL conversational programming, complete with monitoring and diagnostics and EIA-ISO programming as standard. For fully automated operations, the machine can be outfitted with a bar feeder or gantry robot loader. Any way you look at it, the QUICK TURN 200 provides an excellent way to improve your throughput and profit potential.